As one of the many chiropractors in the area we feel a duty to explain what you can expect in our office. Our goal here at the Neuro Spinal Center is to offer our patients state of the art chiropractic and physical therapy care in the most comfortable surroundings possible We want to eliminate any apprehension and make you feel at home. Since chiropractic care involves a series of visits, with each one building on the one before, it is important that our relationship can go the distance. You will find that we have plenty of convenient parking surrounding our building, and we are a handicapped accessible office. When you enter our office you will be greeted by our friendly front desk staff who will help you complete the admitting paper work. We will have you complete your health history and we will gather insurance information so we may verify your coverage. The purpose of your consultation with the doctor is to discuss your health goals and see if chiropractic care will help in your case. The doctor will perform a thorough examination which will help identify the cause of your problem. Diagnostic testing will be ordered at this time if necessary, and if you had recent testing performed, we will send for those records. The results of the examination, x-rays and any additional testing will be explained to you during your second visit. If you are in acute pain, some physical therapy modalities might be administered, such as ultrasound, muscle stimulation and heat or cold packs while we await the results of any testing. We accept patients who we feel will benefit from conservative care. 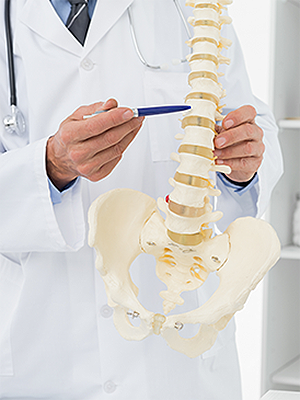 If yours is not a chiropractic case, you will be referred to the appropriate physician or facility. Our desire to offer complete chiropractic and physical therapy resources to our patients is what sets us apart from other facilities in the area. Find the location nearest you to contact the Neuro Spinal Center to make an appointment today! To visit the doctor when you’re feeling great is something new. Yet, a growing number of people who want to do their best, are visiting chiropractors on a regular basis. Turns out that true health is how well our bodies work, not how you feel. Although everyone wants to feel good, your care should not be based on whether you have pain or other symptoms. Vertebral subluxation complexes may exist without obvious symptoms. Just like dental cavities, high blood pressure, or heart disease.